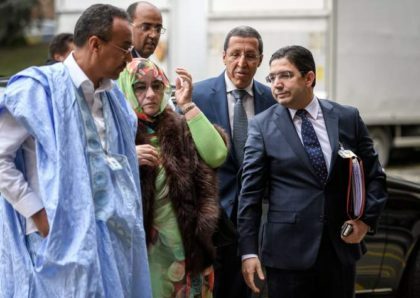 A second round table on the regional dispute over the Moroccan Sahara will take place in the course of the first quarter of 2019, the UN Secretary-General’s Personal Envoy for the Sahara, Horst Koehler said Thursday evening in Geneva, indicating that all participating delegations in the first round table recognized that “cooperation and regional integration, rather than confrontation, were the best way to address the many important challenges facing the region”. “The delegations agreed that the Personal Envoy would invite them to a second round table in the first quarter of 2019,” said Mr. Kohler when reading a statement before the media. At the invitation of Mr Koehler, delegations from Morocco, Algeria, the Polisario and Mauritania participated in a first round table in Geneva on December 5 and 6, in accordance with United Nations Security Council Resolution 2440, recalled the statement, read out by the UN envoy. The delegations, the statement said, “reported on recent developments, discussed regional issues and discussed next steps in the political process for the Sahara”. The Moroccan delegation to the round table included Foreign Minister Nasser Bourita; Morocco’s Permanent Representative to the UN in New York, Omar Hilale; President of the Laayoune-Sakia El Hamra region, Sidi Hamdi Ould Errachid; President of the Dakhla-Oued Eddahab region, Ynja Khattat; and civil society activist and member of the City Council of Smara, Mrs. Fatima Adli.